Have you lost your rankings and traffic? You may have received a Google Slap or something worse. Let us handle these delicate issues and fix your problem fast. The ultimate Red Line set by Google with big sign saying “No Trespassing” and once you are caught doing it, you are handed a short but devastating notification of an unnatural links penalty. Links, being the fundamental cornerstone of Google’s algorithm can cause both a spike in rankings and a traffic drop into oblivion. Don’t rush making quick decisions, first consult with a professional. The wrong SEO company can hurt you a lot buying links, stuffing keywords and implementing shady tactics to increase your rankings in short period of time. We encourage you to do your due diligence before signing up with a contractor. Good SEO company can bring your business to new heights but a bad one can sink your business so that you’ll just have to start from the bottom up. Whether you are a small business owner or run an ecommerce store, spamming tactics can hit your online visibility just as hard. Spam can be in various forms: on the site including copied content, stuffed keywords and thin pages: off the site with lots of junk links incoming to your site. Once Google sees a pattern of what you are doing you’ll be penalized either with manual action or punished by one of it’s algorithm updates. If you lost your traffic and not sure what exactly was the reason, contact us to help you identify and find a solution to the problem. Google doesn’t like when you copy other people’s content, neither does the content owner. It wasn’t your fault that you didn’t know about having unique product descriptions or your SEO contractor hiring cheap writers to just spin (read spam) content from others. This is one of the hard identifiable SEO suspensions that can be part of Panda or just on-the-go. Google gives this out to sites both having “unnatural” links and also unnaturally linking to other sites. In other words google penalizes for link selling and buying as a direct violation of their webmaster quality guidelines about not trying to game the algorithm. Were you offered services that claimed to build thousands of links in no time for you or someone gave you rank #1 guarantee and you don’t even know what your SEO contractor is doing? We are here to help you to recover from this penalty in the quickest way possible. The now legendary Panda and Penguin algorithm “add-ons” caused havoc and major shift in first page of rankings. While Panda targets thin and low quality content Penguin is responsible for targeting bad incoming links. Google sometimes willingly sometimes very reluctantly announces this updates and there has been several iterations of each algorithm. If you have been hit with one of this updates, know, that there is a solution to problems and you should take action immediately before Google updates the metrics again. 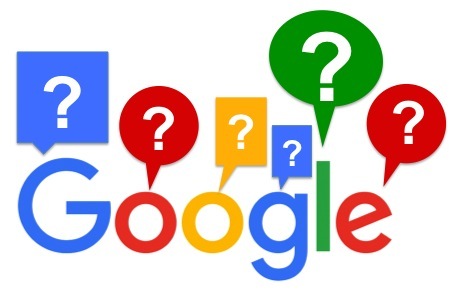 We can fix most SEO suspensions, but if you’re not sure feel free to look at the types of issues we work with or just to fill out the form or give us a call and will you be glad to tell you if we can work with you or not. This is from an actual client we worked with to lift their SEO suspension. In 3 weeks we helped Peter with MyDiscountCigar.com to get have the manual suspension lifted. “Good news. Google pulled our manual action last Friday. We did as you instructed and it worked. I don’t know that we’d have been as thorough and Google did say they still don’t like some of our links, which we’re working on. But at least now we’re showing again. In less than 1 month we were able to get Emergency Essentials back on Google. Can I just disavow all my links? First, if you don’t know what disavow means that’s OK, we can worry about that for you. Google wants to see effort on your part for trying to contact the web masters and getting your inorganic and spammy backlinks removed. They don’t consider copying and pasting all of your links to be effort and they will not unsuspended your website if you do just that. How do I know if I was suspended for unnatural backlinks? You will see a message in the webmaster tools telling you. If you are not sure, contact us and we can check it for you. How long will it take to get my website unsuspended? It can take a week up to 6 months depending on the number of spam backlins you have that need to be removed. 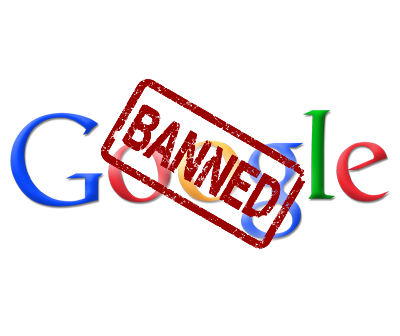 Google has the final say when your suspension is removed, we just show them that we are removing links and document everything on your behalf to show to Google. Basically we fight the Google SEO suspension batter for you. I lost all my rankings and traffic, why? You or someone working for you use an SEO strategy that Google considered spam and lowered your website in the rankings causing your traffic to drop drastically or stop completely. Most of the time this is because of buying backlinks (Google hates this). Google has many complex ways to tell if you are buying links and if you get caught, they are not going to be nice to your business and bottom line. What does GetBackOnGoogle.com do to help get my website unsuspended? We will disavow your links and we will also email specific webmasters two times each, asking them to remove your link and document the response. We will submit the responses and the disavow file to Google on your behalf to have your suspension removed. If you have a question that is not here please call or email because we are here to help you.